Are you looking for a luxury vehicle? Hoping to avoid brand names with less reliable reputations? 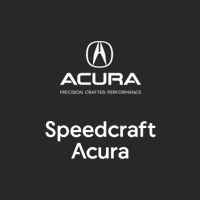 Come to Speedcraft Acura, and find the perfect Acura to suit your needs. There are a wide variety of models in the Acura lineup including sedans and SUVs. Let us walk you through the ILX, TLX, RLX, MDX, and RDX models so that you can find the right match for your desires and needs. We also have an extensive pre-owned inventory, and our team can even provide the Acura service or maintenance that you may need.